Over the last 100 years, agricultural technology has had some amazing advancements. While this has allowed a large majority of foods to become readily available to the entire population (greatly reducing societal malnutrition in the process), it has come with some associated downfalls. Diets have become extremely dense in highly processed foods that contain very little nutritional value. By neglecting your diet and missing out on foods that contain key nutrients essential to the maintenance of health you can cause huge issues within your digestive system. Once you notice the common leaky gut symptoms in your body, it’s high time you take heed of your diet. Leaky gut is a digestive issue that describes a digestive system that has become porous. In this scenario, harmful compounds can pass freely through the digestive system and into the bloodstream. Once there, they wreak absolute havoc with your body, resulting in a host of negative health implications. Fortunately, there are a number of foods that are known to heal a leaky gut. By including these foods in your diet, you can cause a huge improvement in your digestive health, allowing the fast and efficient healing of a leaky gut. This can go a very long way to combat the negative impact that those advancements in agricultural technology can have on your health. Leaky Gut Diet: What Foods Heal a Leaky Gut? What is the GAPS (Gut and Psychology Syndrome) Diet? There are a number of foods that have shown to cause large improvement in leaky gut syndrome. These foods essentially fall into one of three categories (Fiber Rich Foods, Non-Dairy Fermented Foods, and Inflammation Fighting Foods), and each interact with the digestive system in a unique manner to positively influence the health of the digestive system. You can easily include these foods in your routine to make a healthy leaky gut diet, thus improving health and function. Your entire digestive system is full to the brim with bacteria. These bacteria can be categorized as either good bacteria or bad bacteria, in which good bacteria promotes the efficient function of the digestive system, and bad bacteria inhibits it. It is important to note that having bad bacteria within the digestive system is completely unavoidable. As such, our primary focus should be on ensuring that we maintain adequate amounts of good bacteria within the gut to maximize the health and function of our digestive system. Which is exactly where fiber comes in. Fiber is unusable to the human body. Your digestive enzymes can’t break it down like other food we eat. But your good bacteria in the gut can use it! Good bacteria ferment indigestible dietary fiber, causing the production of compounds essential to their survival. This can lead to an increased number of good bacteria within the gut, while simultaneously ensuring the health of that good bacteria. As a result, you become increasingly adept at breaking down any harmful compounds that enter the digestive tract, lessening the stress placed on the gut. This can go a very long way to healing your leaky gut syndrome. All Cruciferous Vegetables (think broccoli, Arugula, Bok Choy, and Cauliflower). Each of the foods outlined above offers a specific type of dietary fiber (known as ‘prebiotic dietary fiber’) that has been shown to feed the bacteria of the gut. In conjunction with this, they are all relatively low in specific proteins (known as lectins) that have been shown to irritate the wall of the gut in some susceptible individuals. Fermentation describes a process where certain microorganism (namely bacteria) convert organic compounds into specific acidic substances. Those foods that have undergone a fermentation process also contain an abundance of healthy bacteria, most of which has played an integral role in this fermentation. As these foods contain an abundance of healthy bacteria, their consumption goes a very long way to repopulate the gut with good bacteria. It is important to note that this process of fermentation is very similar to that which occurs within the stomach after the consumption of fibrous foods (as mentioned above). The key difference is that the fermentation in this scenario has occurred outside of the body. As such, once they are consumed, you are repopulating the gut with healthy bacteria rather than feeding the bacteria that is already there. 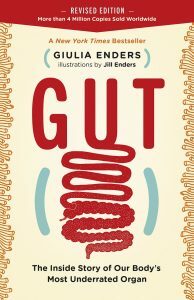 In turn, by increasing the absolute amount of good bacteria within the gut, fermented foods can cause large improvements in our ability to digest food particles. Additionally, these bacteria will also play an important role in defending against harmful compounds and toxins within the intestine. As a result, eating fermented foods is a fantastic way to improve the health of your digestive system and aid in healing a leaky gut. Each of these foods are not only incredibly high in good bacteria, they also contain an abundance of vitamins and minerals that are essential to daily function, and are each easy to digest. This means that their consumption has no negatives associated, improving the state of the digestive system in its entirety. When you are suffering from a leaky gut, harmful chemical compounds, foreign pathogens, and undigested food molecules have easy access to the walls of the digestive system. This can cause a huge inflammatory response within the digestive tract as a means to try and remove these foreign compounds. While the short-term inflammatory response may offer an effective means to destroy a piece of invading matter (whether it be undigested food, a harmful pathogen, or a chemical compound), if prolonged it can lead to further intestinal damage, while also killing off the good bacteria within the gut. Through this interaction, inflammation of the digestive tract can make leaky gut significantly worse. Fortunately, there are a number of foods with powerful anti-inflammatory properties. As such, their consumption can go a very long way to reducing harmful inflammation within the gut, which is essential if we want any hope of healing leaky gut. Each of these specific foods contain specific compounds (namely polyphenols) that have both anti-inflammatory and antioxidant properties. Additionally, they contain nutrients that may improve the function of the digestive system, making them an excellent option. While the inclusion of the specific foods mentioned above, eating these foods will unquestionably go a long way in healing your leaky gut. It is also important to note that there has been a diet specifically designed to improve the health of the digestive system and treat leaky gut. This is known as the GAPS Diet (also known in some circles as the leaky gut diet). 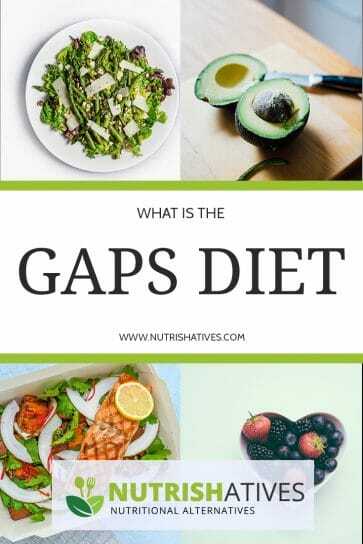 The GAPS diet is a rather intensive way of eating. But, it may be able to promote the repair of the gut wall, improve the bacteria balance of the digestive system, and prevent any toxins from entering the bloodstream. In short, it is designed with the intent to improve and optimize digestive health. The GAPS diet is actually quite restrictive. It requires the exclusion of a large number of food types. There are a wide variety of foods that you cannot consume when following the GAPS diet as they may place the gut under undue stress. This includes removing those foods that are hard to digest or may cause gut inflammation. Looking at this list, it should become quite apparent as to why the GAPS diet is often described as restrictive. To build on this further, only the following foods are allowed (and encouraged) to be consumed while following this particular way of eating. These foods may be able to improve the state of the gut by fighting inflammation and improving bacterial balance. They are also easy to digest and contain no harmful chemical compounds. 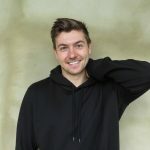 Taking all this into consideration, it is important to state that although the GAPS diet is built around some key concepts that do have science to support them (avoiding foods that have the potential to irritate the gut, while only eating those that can improve gut health), the diet itself has no primary research to support its use. Now, this isn’t to say that it doesn’t work (the rationale is certainly sound). It just means that we need more evidence to demonstrate its effectiveness. Many people wonder why countries such as Japan have such small incidence of digestive disease and illness. If you take a moment to consider what their diets are built around (AKA fibrous vegetables, healthy fish, and fermented foods), it shouldn’t come as a huge surprise. By including the three key food categories outlined in this article into your diet, you can take a huge step towards improving your immune system, your health, and healing your leaky gut. For those individuals suffering for an extremely severe leaky gut, the GAPS diet may be a good short-term option. We recommend speaking to your medical professional, however, before commencing something quite so intensive. 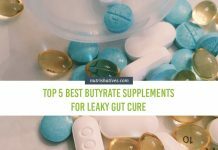 Previous articleLeaky Gut Symptoms: How Do You Know If You Have a Leaky Gut?